Offering you a complete choice of services which include pile load test service, pull out test services and pile integrity testing services. 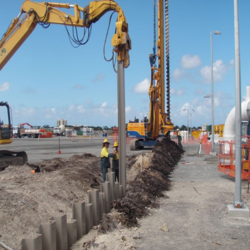 We are reckoned as the flagship firm that is affianced in providing Pile Load Test Service. 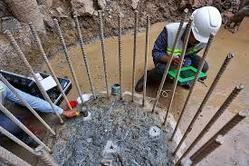 This testing service is rendered by our team of adroit professionals to evaluate pile capacity, driving stresses and hammer performance during the installation of piles. In order to provide maximum efficiency, reliable results and promptness, this testing service is executed with the help of the best in class testing and sophisticated technology. Besides, our esteemed clients can avail this testing service from us at reasonable price. Pull Out Test Services is in response to a growing industry requirement to increase the safety and security of fixings and anchors widely used in most construction materials. There has been a major increase in the use of pull-out testing, particularly with local authorities who demand that a specific pull out testing programme should be carried out on site by the contractor which is then endorsed by recorded evidence. It is therefore essential that all such site personnel should be thoroughly familiar with the use and understanding of pull out testing equipment. 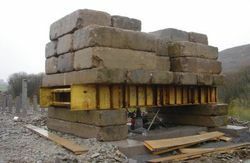 In this respect our operatives have been extensively and robustly trained and are fully certified in pull out test in concrete, which are recognised by local authorities and others in the industry.